MARQUETTE COUNTY — It will be warm up here in the Upper Peninsula one day and when it does we need to be more wary of the possible hidden dangers of the outdoors. It may still be feeling like winter right now but the warm weather is just around the corner. This means we will have more critters running around and the beginning of tick season. Ticks are known to harbor dangerous bacteria as well as disease. Therefore, it is always a good idea to be on the look out for ticks while enjoying the outdoors. Heavily wooded areas as well as UN-kept trails can be the prime areas for ticks to wait for its next host. 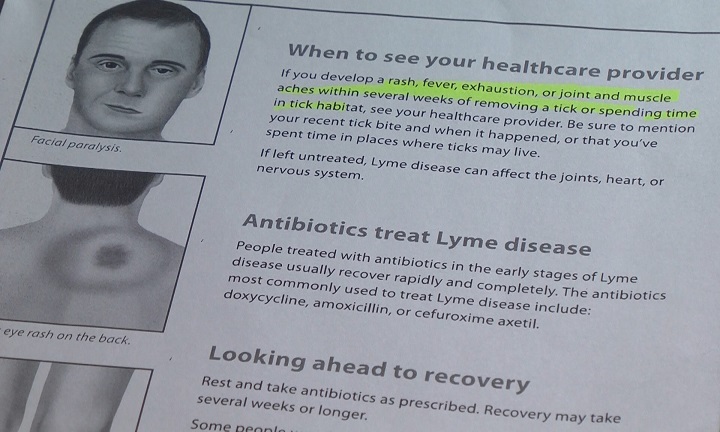 It is also a good idea to know the signs and symptoms of Lyme disease so that if infected you can receive the necessary treatment.